CLICK ON THE PHOTO ABOVE TO VIEW OUR FUN FIRST YEAR! The Shriner family have successfully created a powerful, energetic, fun, and supportive work environment that is unparalleled in this industry. They have hand selected a well educated, diverse, and innovative set of realtors and support staff that all work together as a team. I am thankful and proud to be part of such an amazing and inspiring group of people. We offer an extraordinary level of customer service, by delivering excellence throughout every aspect of our real estate industry. Our team will complete every real estate transaction, with efficiency and an expert level of skill that will produce exceptional results. 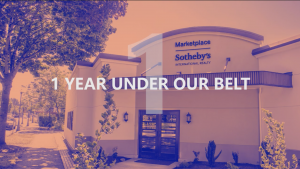 With a vast number of Sotheby’s International Realty affiliate offices around the globe, all staffed with master level agents, we can help our clients achieve this same level of success anywhere in the world. We are the best, because we care about our clients first. It is not a price point that we serve, it is the service we provide that sets us apart. I want to wish everyone a happy New Year!!!! We all look forward to working with you in 2016. I thought you’d be interested to read about some of the homes we sold in October, HERE. When my clients are happy, every sale is significant to me. Because it’s not luxury prices I serve, it’s luxury service my clients expect. 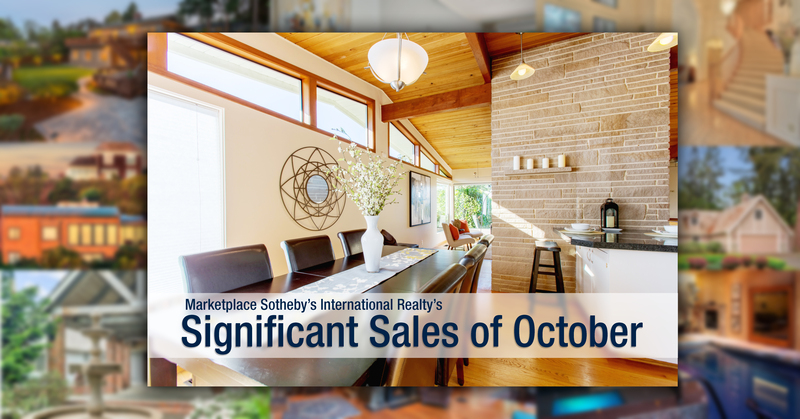 The real estate market isn’t slowing down this fall. Call me if you’re interested in making real estate moves! Sotheby’s International Realty’s vision is about artfully uniting extraordinary properties with extraordinary lives. 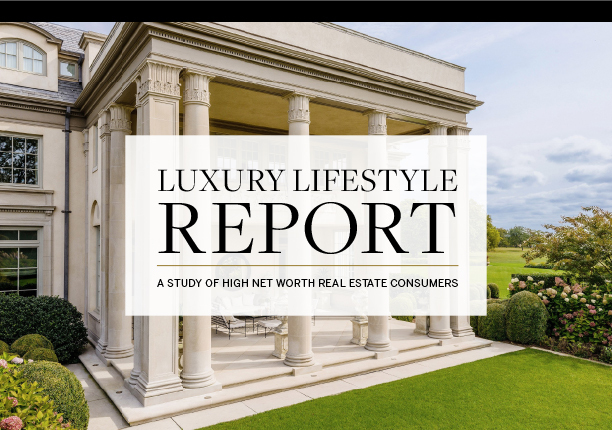 This video explores the evolution of the extraordinary qualities that set this brand apart along with some interesting global statistics, which combined reinforce the marketing strategies that it employ’s to help maintain their leadership role in the luxury real estate marketplace. Click on the image below to enjoy the video work of art. Come Join My New Community! This community provides a place where anyone can find resources and information about real estate, anywhere in the world. Coming together to learn from one another on how to make smart real estate decisions. It is a place for discussions, a place to find the latest research, statistics, and news about the current real estate market in your area. Learn from some of the top brokers and real estate professionals all over the world. Ask questions, get answers. Make connections, get educated. Joining together to create a global community, that will help everyone make smart real estate decisions, no matter where they happen to be. 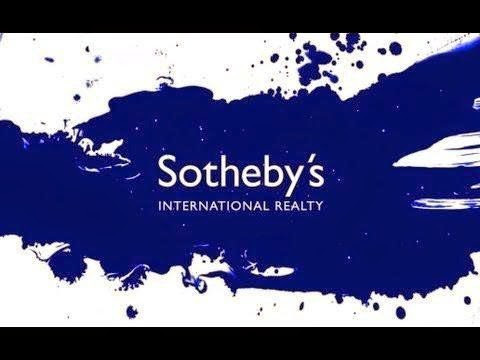 The Sotheby’s International Realty brand is a unique luxury network of brokerage agencies offering a wide collection of luxury homes, estates and properties for sale throughout the world. 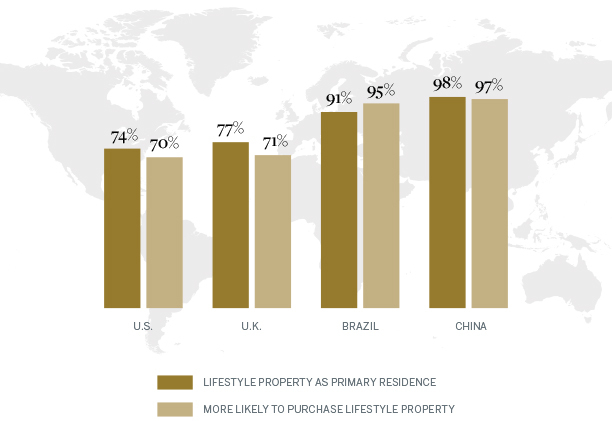 With more than 670 offices and 13,000 sales associates across 49 countries and territories, our network is committed to helping its clients find a home and luxury real estate agent in the world’s most desired locations. Our purpose is to artfully unite extraordinary properties with extraordinary lives – servicing the needs of the most prestigious clientele in the world. You are also invited to be part of all of my other online platforms. Like, follow, pin, link, or tweet. Like to BLOG and learn from them? Me too! Feel free to share your links with me also, I would love to stay in touch with what you have to share! Mt. Pleasant farm, is a 5600 square foot masterpiece created by Michael Barclay, in a Frank Lloyd Wright inspired design. Placed delicately on a quiet street, it has 72 lush, private, awe inspiring acres. No expense was spared in the design and construction of this lavish, 5 bedroom, 6 bath, luxury estate. 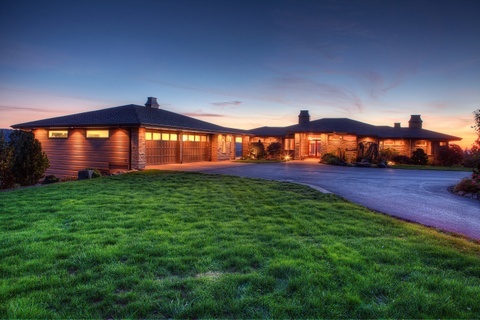 It has a stable, a private 1/2 acre lake, a runway and airplane hangar, an office, guest quarters, and trust-protected views of the Columbia River, the Gorge and the Cascade Mountains. 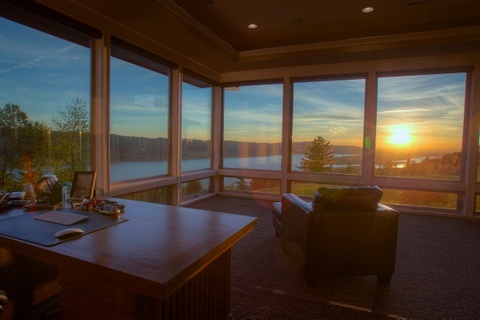 Nearly every room of this house was designed to incorporate the majestic views of this outstanding estate. With floor to ceiling windows masterfully placed, you can seek serenity and inspiration from every vantage point throughout this home. From the office, living room, kitchen, every bedroom, and even the master bath, you can privately see the glory of these world renown and sought after views. Simply breathtaking. The attention to detail throughout this entire estate is unparallelled. With Brazilian cherry wood mill work and floors,the hand picked stones, and expertly designed grounds, it is lavish and glorious to behold.The gourmet kitchen and great room flow out onto the outdoor living space, making an impressive statement. The additions of a 4 stall stable, custom riding arena, FAA certified runway with its own airplane hangar, and a safe room are simply elegant additions rarely found in today’s estates. This is the perfect addition to anyone’s master collection. Many people dream of growing up one day to live out the American Dream. Sometimes, the hardest part for clients can be to find that perfect home that encompasses all of their dreams. The one capable of fulfilling the wish for a perfect future with their loved ones. My one job, is to do this on their behalf. I make this process seem graceful, comfortable and effortless. This is absolutely, hands down, my most favorite thing about being a real estate broker. I get to see the sparkle in their eyes as their dreams come into focus. I watch as they are filled with anticipation when I place an offer on their behalf. I get to witness their joy when they are successful! It is really such an amazing gift to be part of the very moment when the dream of their future life together becomes a reality! One of my specialities, is matching the perfect property with the perfect buyer. Expertly, efficiently, and precisely. Making that big step of buying any property, feel like its just part of your dream. No hassle, no stress, just results. For this lovely couple, that is exactly what happened. I found them their dream home and made a strong offer on the very same day! I procured that home expertly, closed that home on time, and helped them on ther way to living their dream life. One of love, togetherness and family. Welcome home you two!!! It was my sincere pleaure. Let me help bring your dreams into reality. 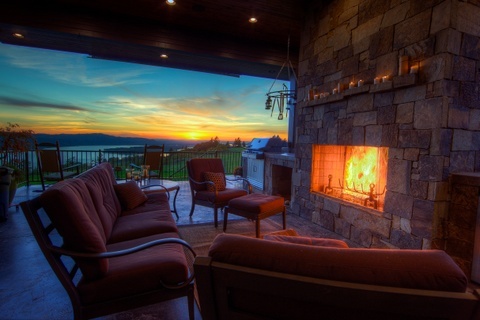 If this is what you would like to experience with your next property purchase, then I am your perfect broker. 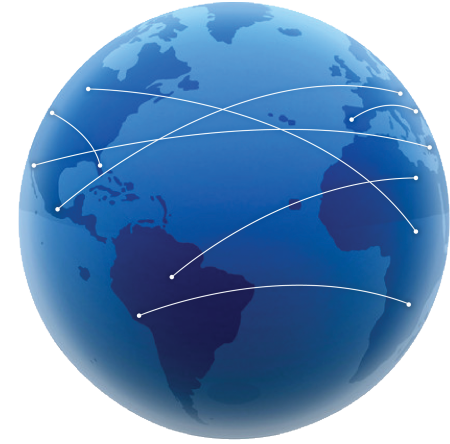 We can help you find your way no matter where that is in the world. Relocating and not sure how to find the right agent in your new area? Do you have a family member or a good friend living in another area that could use some help finding a new home? Looking for a vacation home out of the country? 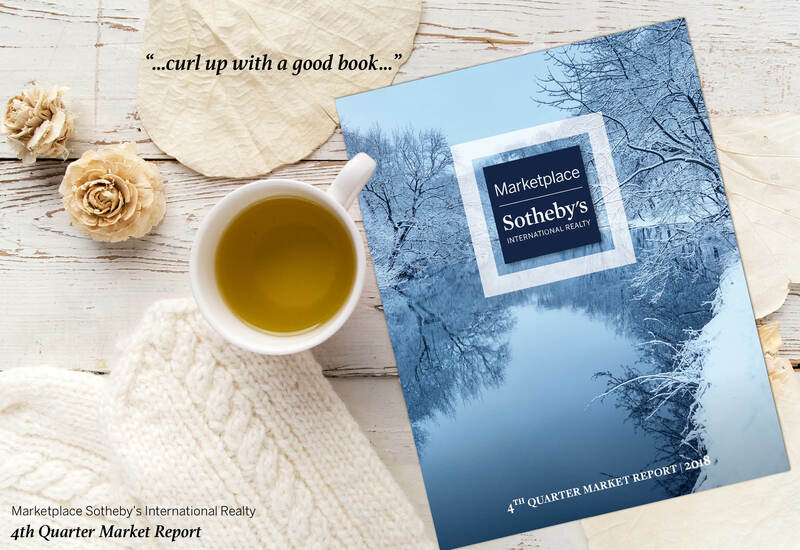 Sotheby’s International Realty is part of a unique luxury network of brokerage agencies offering a wide collection of luxury homes, estates and properties for sale throughout the world. With more than 670 offices and 13,000 sales associates across 49 countries and territories, our network is committed to helping its clients find a home and luxury real estate agent in the world’s most desired locations. Our team can put you in touch with one of our many trusted associates to help you with any out of the area real estate. Our purpose is to artfully unite extraordinary properties with extraordinary lives – servicing the needs of the most prestigious clientele in the world. Let us put your mind at ease by making a connection for you.